The scientists published their findings in the Journal of Cultural Heritage. The shapes and bright colors of orchids have always made the flower popular among fanciers and botanists, but it’s their symbolic value, which many cultures associate with a resemblance to both male and female sexual organs, that is also part of their allure. Even its name, Orchis, is derived from the Greek word for testicles. Cephalanthera sp. 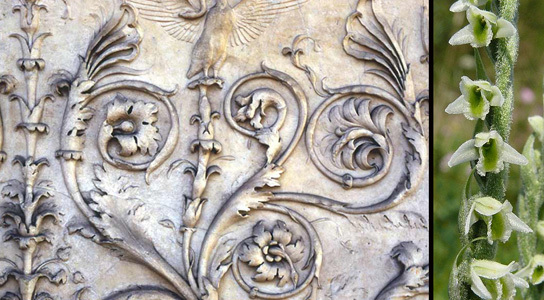 on the frieze of Ara Pacis (upper left); the flower in the wild (upper right). Spiranthes spiralis (L.) Chevall on the frieze of Ara Pacis (bottom left); the plants in the wild (bottom right). While the flower’s biology and ecology has gotten plenty of attention, its phytoiconography, or how the flower has been used symbolically in art, has been less studied. Giulia Caneva, of the University of Rome, with several graduate students set out to change this. She began assembling a database of Italian artifacts, which included paintings, textiles, and stone carvings that included plants or vegetation. Then, they began to analyze the different plants that were represented. 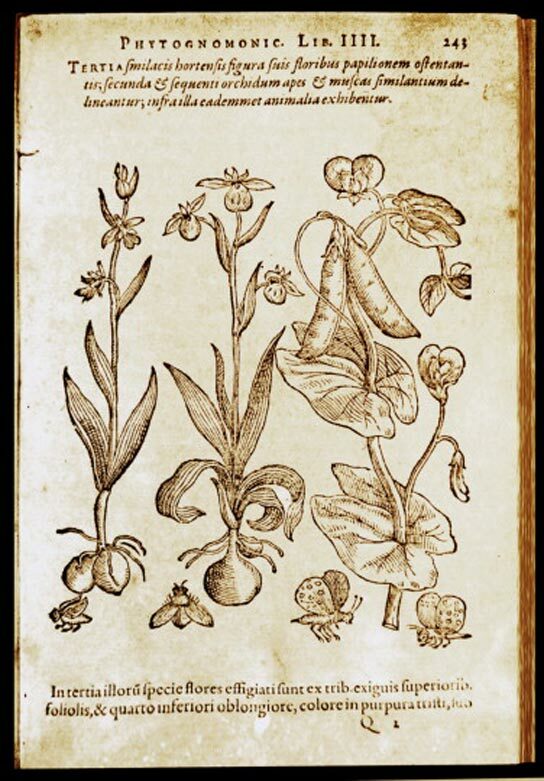 The depictions of Italian orchids showed up much earlier than expected. Previously they were spotted in paintings in the 1400s, but Caneva’s team discovered them as early as 46 B.C.E, when Julius Caesar erected the Temple of Venus Genetrix in Rome. 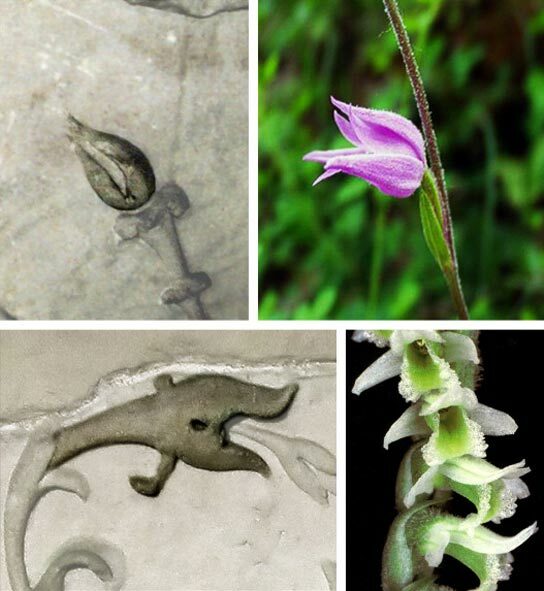 There are at least three orchids appearing in dozens of other plants on the Ara Pacis, a massive stone pillar erected by the emperor Augustus in 9 B.C.E. Artists chose the flowers to emphasize a theme of civic rebirth, fertility and prosperity following a long period of conflict. Signatura rerum, the theory of signature: orchids images from G.B. Della Porta (1588). Be the first to comment on "Human Obsession with Orchids Goes as Far Back as Roman Times"